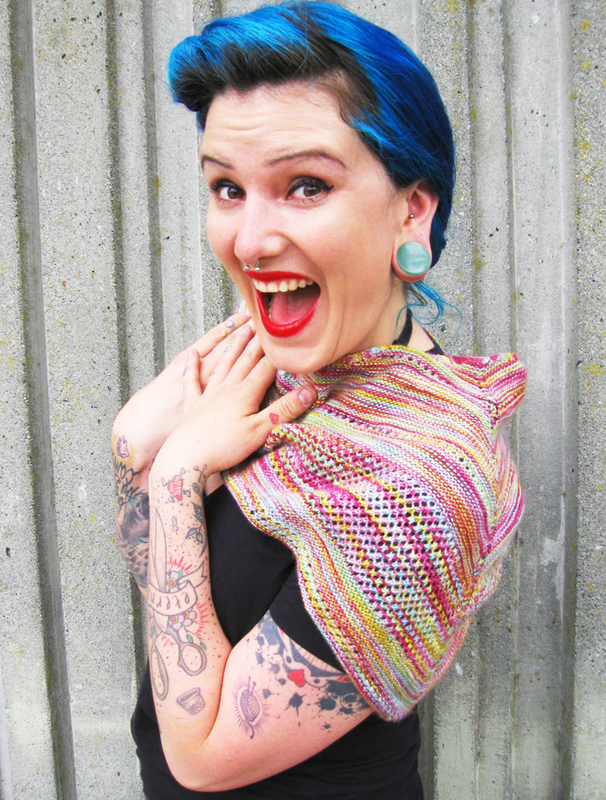 Though She Be But Little, She Is Fierce Shawlette modeled by Caitlin ffrench. The Though She Be But Little, She is Fierce Shawlette is a splash of colour and eyelets fit for any season. 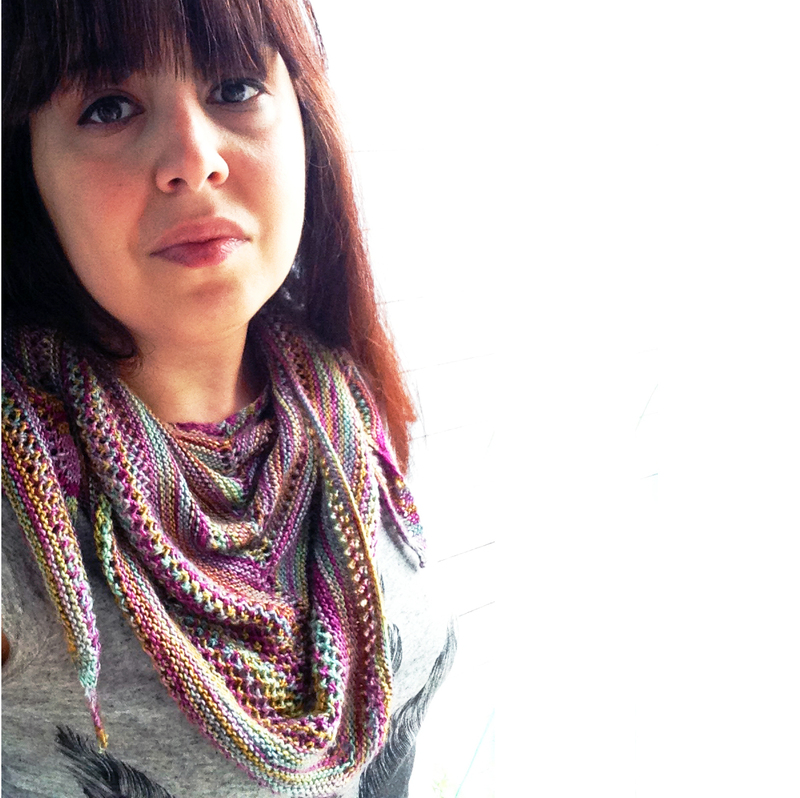 Not too large, the shawlette fits comfortably around the neck worn as a kerchief. Your imagination is the limit when it comes to styling this versatile shawlette. This pattern is suitable for advanced beginners using the following techniques: circular needles, long tail cast on, knit st, yo, placing st markers, eyelets, worked flat, garter st fabric, bind off, weaving in ends. 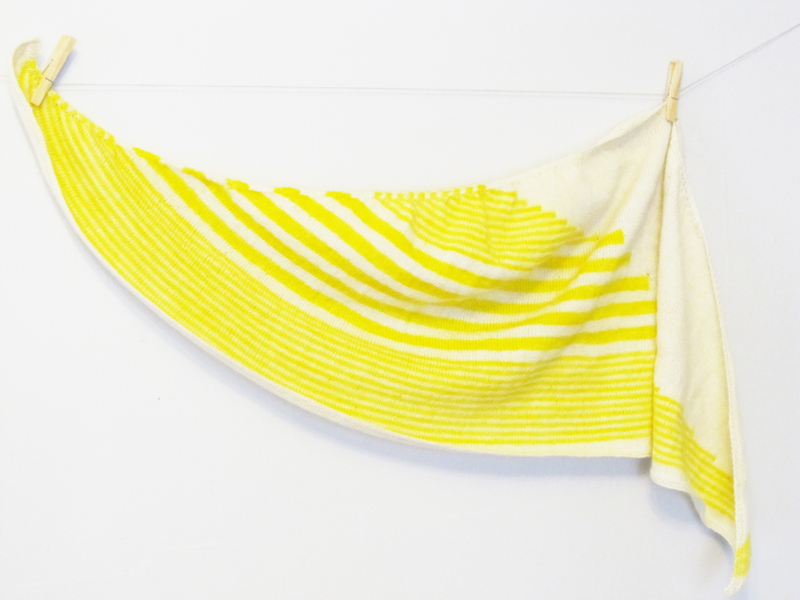 Everything you need to know to make this shawlette is inside the pattern. Technical Editor: Katherine Vaughan. This pattern has also been test knitted by my generous Ravelry test knitters. Models: Caitlin ffrench and Rena Varsakis. I have a special offer on right now for this pattern – if you purchase the pattern before 15 August 2013, you will automatically receive 25% off at checkout. At last I can reveal a secret project that has been under wraps. 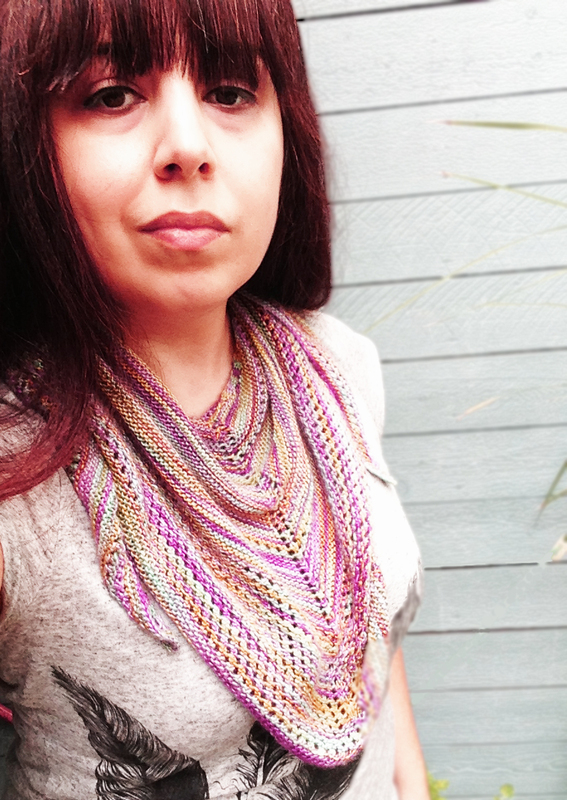 I have a new shawlette design moving from the secretive design phase to the tech editing and testing phase, hooray! 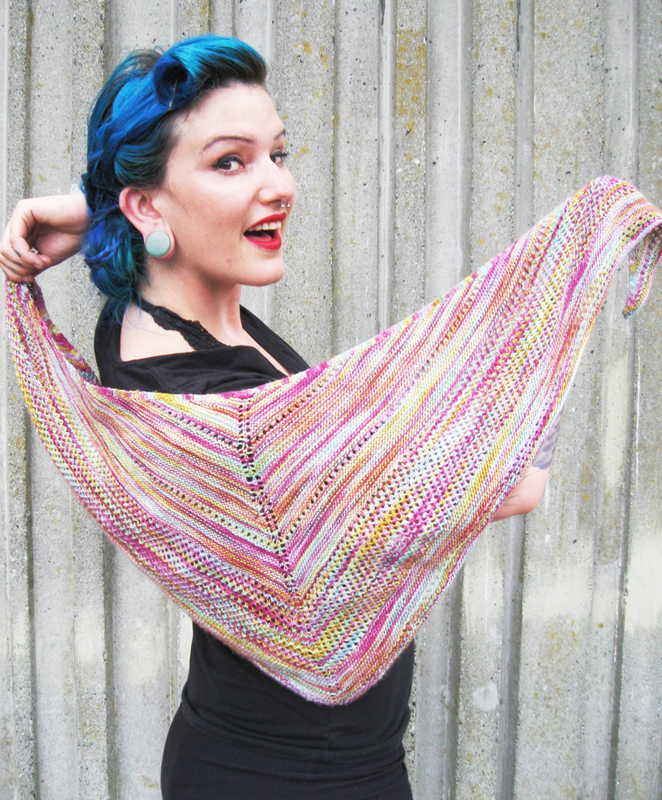 Here she is: Though She Be But Little, She Is Fierce Shawlette. I love simple shawls, and the design of Though She Be But Little, She Is Fierce is perfect for vareigated, showboat sort of yarns like the Handmaiden I used in the sample. If you’re curious about the name, it’s from A Midsummer Night’s Dream by Shakespeare. 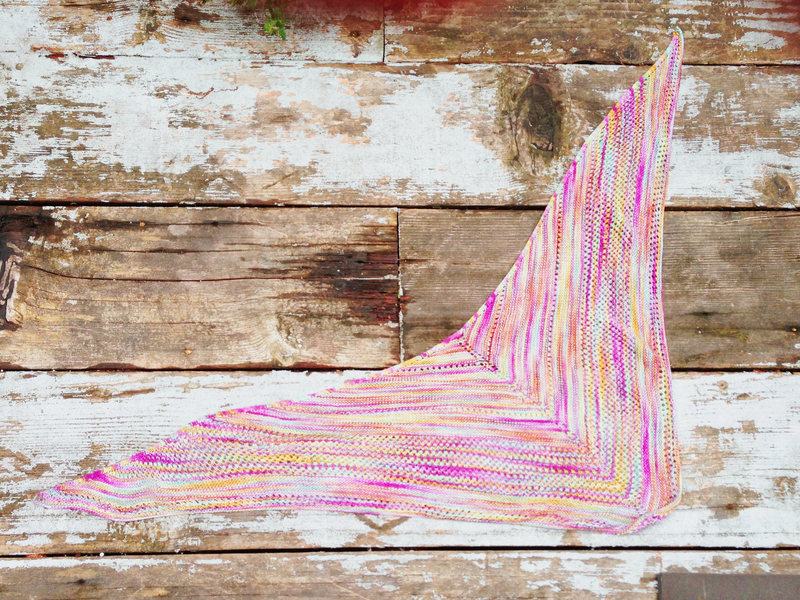 I thought the name perfect for this feisty little triangular shawlette. The pattern should go live in mid-July 2013. What do you think?